Last week my wife Nicki and I had our first Thanksgiving as a married couple all to ourselves. We had gotten together with her family earlier in the week and decided to make Thursday a date day. We got up a little early, had breakfast (French toast and turkey bacon), and watched the Thanksgiving Day parade on TV. Later Nicki started some chili for diner in our new crock-pot, then we put on our Muppet tees, fired up the Batmobile and headed up I-55 into Southaven, MS to the Malco theater there to see a matinee showing of “The Muppets“. 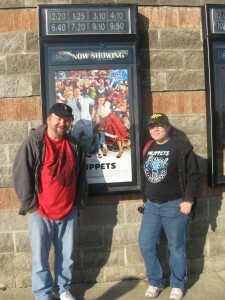 It was pretty quiet at the theater and we had a couple dozen Muppet fans in the theater with us for the 12:20PM show. 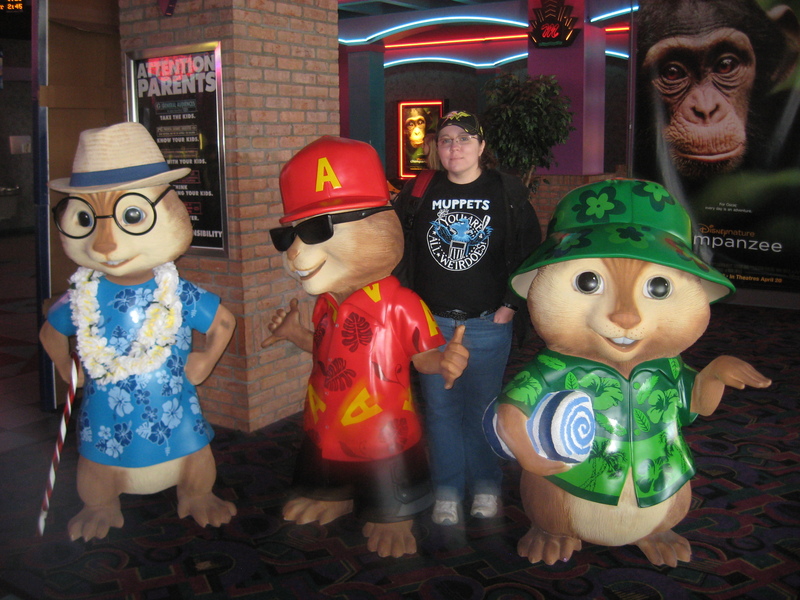 Some of the folks in line in front of us were going to see the latest “Twilight” movie. Not going to knock that movie, but we saw the first one and it’s just not for us. In front of our movie we got to see a trailer for Disney and Pixar’s upcoming “Brave” movie, and a new Toy Story short “Small Fry“. We got a kick out of both! Nicki and I love us some Pixar and it’s always fun to have a cartoon before the main feature, especially when it’s a Pixar short. We’ve both been really looking forward to this movie, but I’ll be honest- not a big fan of Jason Segel. I loved “Freaks and Geeks” and “Despicable Me“, but he’s always been in the actor list of folks like Seth Rogen who’s movies I tend to shy away from, so I wasn’t thrilled that he was one of the main actors. I was also not crazy about a new Muppet- Walter, being introduced. 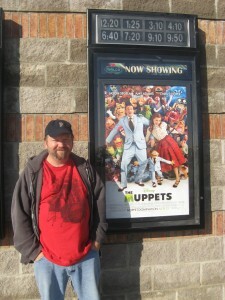 I wanted to see the classic Muppets- not Walter the newbie. Well, I’m here to say I was a stupid shortsighted fanboy! I think Jason did a great job as Gary (and writer and producer! 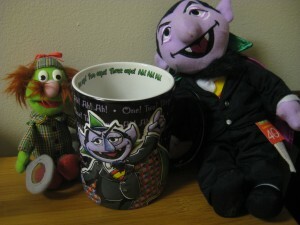 ), and Walter (voiced by Peter Linz) is now one of my favorite Muppets! 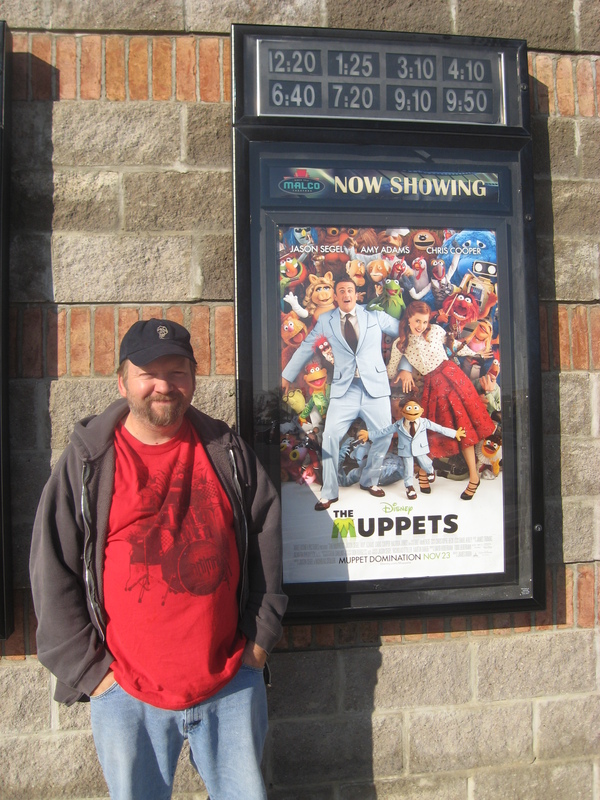 This movie was a film a Muppet newbie could come in and enjoy just as well as us old timers in the balcony. 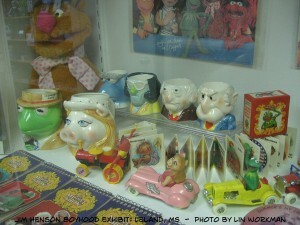 What showed throughout the movie was a love of the Muppets and their history. I dug the Muppet collectibles in Walter and Gary’s house, but seeing the Electric Mayhem bus covered with cobwebs and dust hit kinda hard. I think the first time I started to tear up was a few minutes later when we got to tour Kermit’s old office with Walter and there was a photo of Kermit and Jim Henson (not the one above- that’s one I took in Leland, MS with Kevin Williams) and Kermit’s banjo collection. Lots more cobwebs and dust around there, too. I teared up again when Walter, Gary, and Mary (Amy Adams) meet Mr. 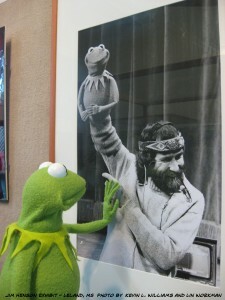 The Frog and Kermit sings “Pictures In My Head” while Muppet portraits come to life (great effect!). And the waterworks started again later during the telethon when I heard the first notes to “The Rainbow Connection” on Kermit’s banjo, and when the Muppets are leaving the theater after the telethon…thank goodness for inappropriate fart shoes humor! I’ve gotten to where I see less and less movies at the theater. There aren’t than many original movies or even remakes I want to see other than the occasional super-hero movie, and even then that can be hit or miss. These days there are too many people in the audience who don’t know how or care to turn off a cell phone. They think they’re watching it in their living room and don’t know what “inside voices” mean. And then there are the high ticket prices and concessions sooooooo expensive I almost need a co-signer to buy a bucket of popcorn and a couple Cokes! But I’ve got to say that “The Muppets” was worth every penny we spent that day. I’ve heard a lot of Muppet fans complain about the poor use of the Muppets or just the lack of the Muppets since Jim Henson passed away, and this movie really reflected a lot of their feelings- obviously somebody was listening. Disney and Jason Segel took an old franchise, dusted off the cobwebs, and made it fun and exciting again. If this movie doesn’t make the fans happy I don’t know what will. 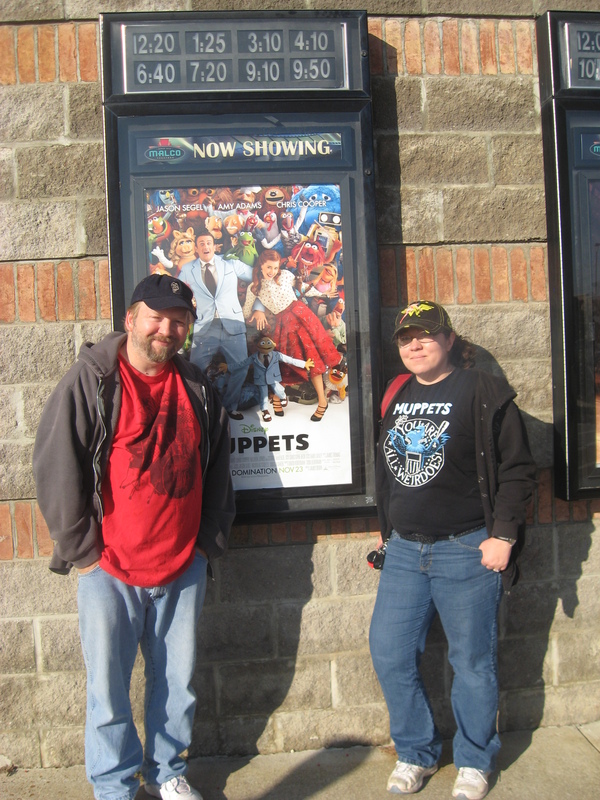 I know Nicki and I really enjoyed it and we can’t wait to see what the Muppets do next! Hopefully it won’t take as long next time. BTW: I’m not Team-Jacob or Team-Edward, I’m Team-Count!